In this study, Widmansta¨tten and equiaxed microstructures containing very fine α_2 particles were obtained by overaging a Ti-6Al-4V alloy, and their dynamic deformation behavior was investigated. Dynamic torsional thests were conducted by using a torsional Kolsky bar, and deformed microstructures and torsionally deformed areas beneath fracture surfaces were observed to investigate various factors affecting dynamic deformation properties of α, β and their interfaces. The dynamic torsional test results indicated that maximum shear stress and fracture shear strain of the over-aged Winmansta¨tten and equiaxed microstructures were higher than those of the unaged microstructures. The possibility of the adiabatic shear band formation under dynamic loading was quantitatively analyzed, based on the observation how plastic deformation energy was distributed to void initiation and adiabatic shear banding. Since the number of voids formed in the over-aged microstructures drastically increased because of the α_2 precipitation, driving force for the adiabatic shear band formation decreased as much as deformation energy used for the void formation, thereby reducing the possibility of the adiabatic shear band formation. 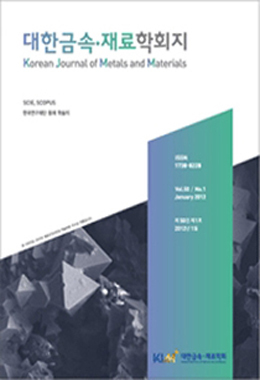 These findings provided a new idea how to improve ballistic performance of Ti alloy armor plates because the over-aging of the Ti-6Al-4V alloy was effective on both the improvement of tensile and dynamic torsional properties and the reduction in the possibility of the crack initiation due to adiabatic shear banding.